‘Jai Hind’, ‘Satyameva Jayate’, ‘Jai Jawaan Jai Kisan’, ee quotes manam politicians speeches lo, government organisation offices lo, ledantey soldiers or farmers chanipotey fb postullo, WhatsApp stories lo chustham. Kani nijanga ee slogans school walls, FB status lo use cheyadaniki create chesinavi kadu. Ee slogans venaka oka emotion undi, oka revolution undi, oka sacrifice undi, oka history ea undi. 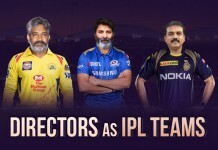 Ippudu ivi manaki enduku? eppudo mana school lo unnapudu social book lo chaduvukunnam kada antara? Yes, but entha varaku gurthunnayi anedi assalu question? 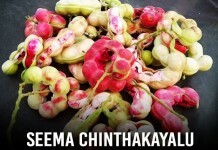 So, teliyaka potey chadavandi, okavela maku telusu ankuntey teliyani vari kosam share cheyandi. Ee slogan Mahatma Gandhi Quit India movement appudu, british variki against ga Mumbai lo jargina, meeting lo people ni adress chesthu ‘Do or Die'(Karo Ya Maro) slogan use chesaru. Ee short slogan Indian Independence movement lo major impact create chesindi. 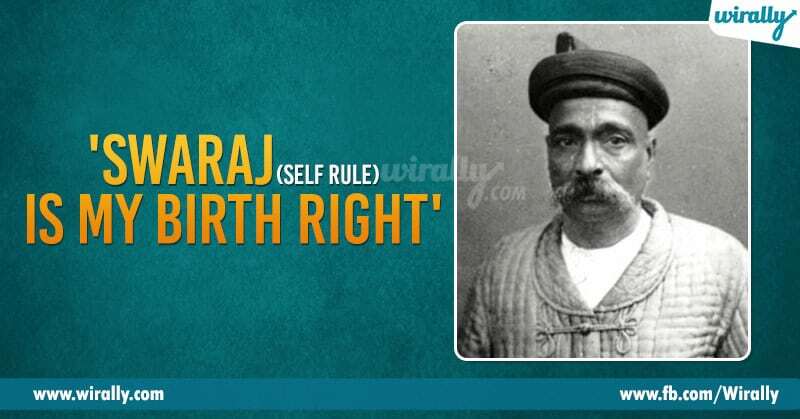 Bal Gangadhar Tilak, teacher, social reformer, lawyer and first leader of the Indian Independence Movement. Independence starting stages Tilak active leader aa time lo atanu marathi lo icchina “Swaraj Mera Janamsiddh adhikar hai, aur main ise lekar rahunga”, ee slogan hindi, and other regional languages lo andarini inspire chesindi. Jai Hind ee slogan maximum major ga political meetings, schools, organizations meetings lo common ga use chesay end salutation ee slogan. 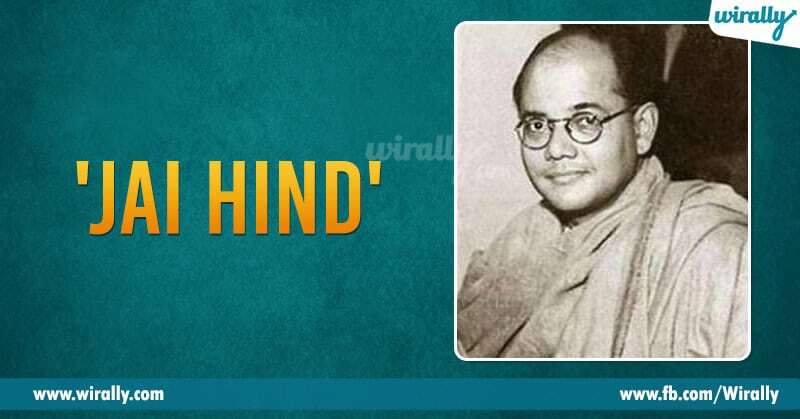 This slogan was actually coined by ‘Abid Hasan’ (Army officer), but later it was effectively used by Netaji. 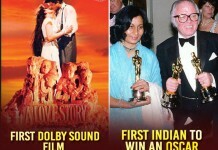 Jai Hind ee slogan actually rough ga cheppali antey, “Victory to India”, ani ardam. 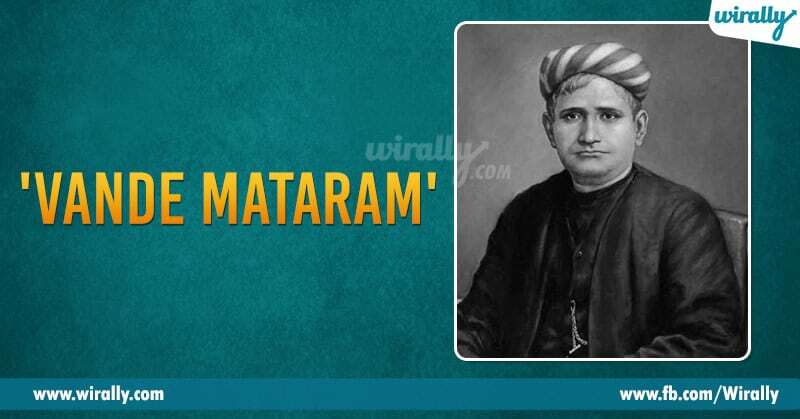 ‘Vande Mataram’ ee slogan actually took from ‘Bankim Chandra Chatterjee’ Bengali poem, which is declared as our National Song later. The literal meaning of this word “Vande Mataram” is “I praise you mother” where mother refers Nation or motherland. 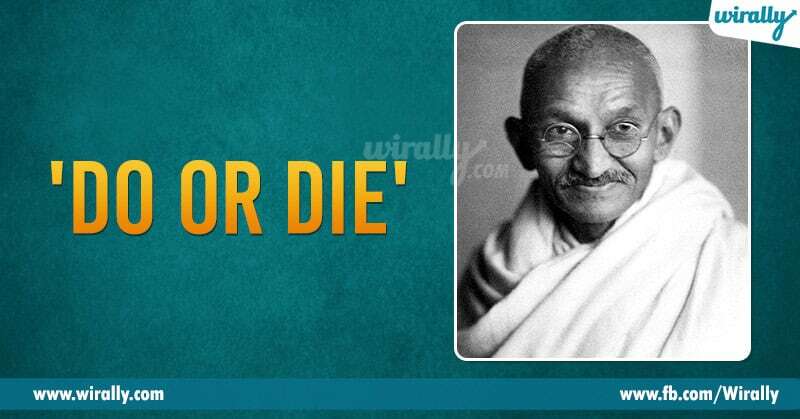 This slogan played a major role in the Indian Independence movement and which inspired many freedom fighters. 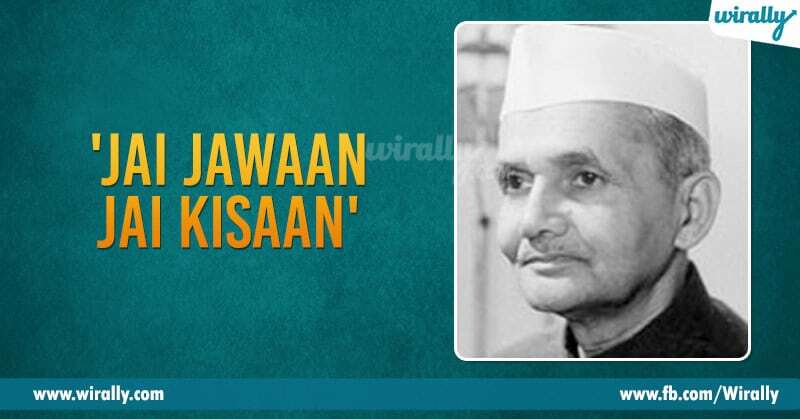 Lal Bahadur Shastri, ‘Nehru’ death tarvatha Indian Prime Minister ga elect aiyyina time lo Pakistan mana mida attack chesindi. At the same time, country lo food grains shortage undindi. Aa time lo farmers and soldiers ni motivate chesthu ‘Lal Bahadur Shastri’ garu Delhi, Ramlila Maidan lo ee slogan iccharu. Inquilab Zindabad ‘Bhagat Singh’ speeches and writings tho ee slogan chala popular aiyyindi. But this slogan was originally coined by Indian freedom fighter ‘Maulana Hasrat Mohani’ in 1921. 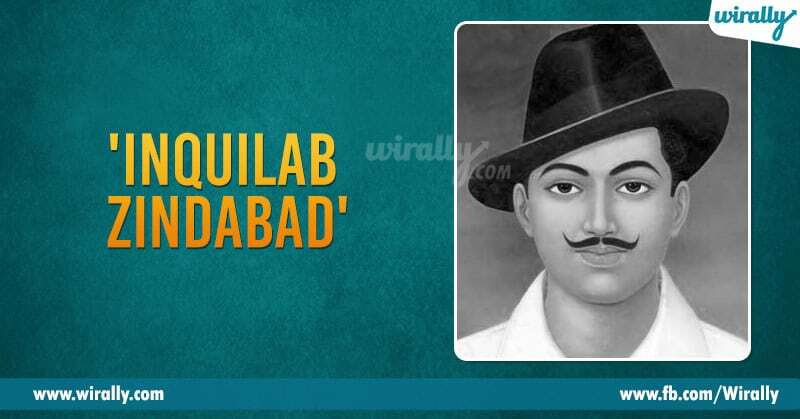 Inquilab Zindabad antey “Long live the revolution”, ani ardam ‘Bhagat Singh’ Central Legislative Assembly mida bomb attack chesina tarvatha ee slogan ni first-time use chesaru. ‘Gandhi’ Non-co-operation movement tho India freedom kosam fight cheyadam start chesaru. 1942 lo India ki complete freedom kosam fight chesthu Gandhi’ Britishers ki against ki icchina slogan ea “Quit India”. 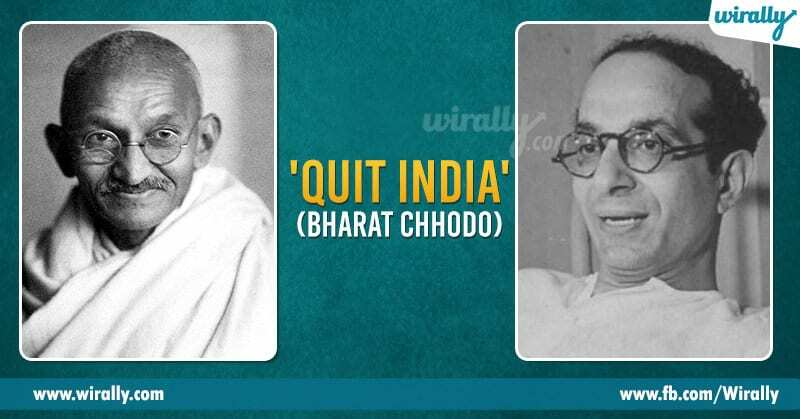 But “Quit India” slogan is credited to another Congress leader ‘Yusuf Meherally’ at that time. Freedom fight kosam struggle chesthu appatikey eight times jail ki vellina ee freedom fighter “Quit India Movement” start avvaka mundey oka meeting lo “Quit India” ane term use chesaru aa meeting lo Gandhi kuda unnatu cheptuntaru.